With kids or otherwise lot of trash stuff has to be disposed off even within car. 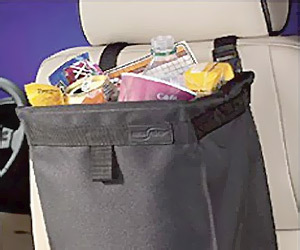 Trash Stash Car Litter Bag makes this an easy routine. You can even pour drinks into it without any spills and damage to car seats or floor.